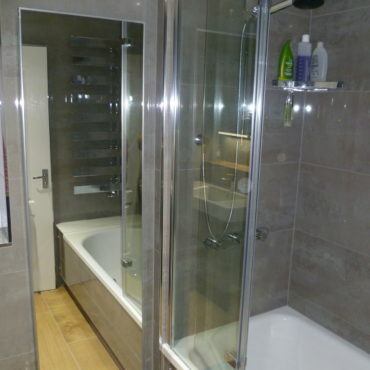 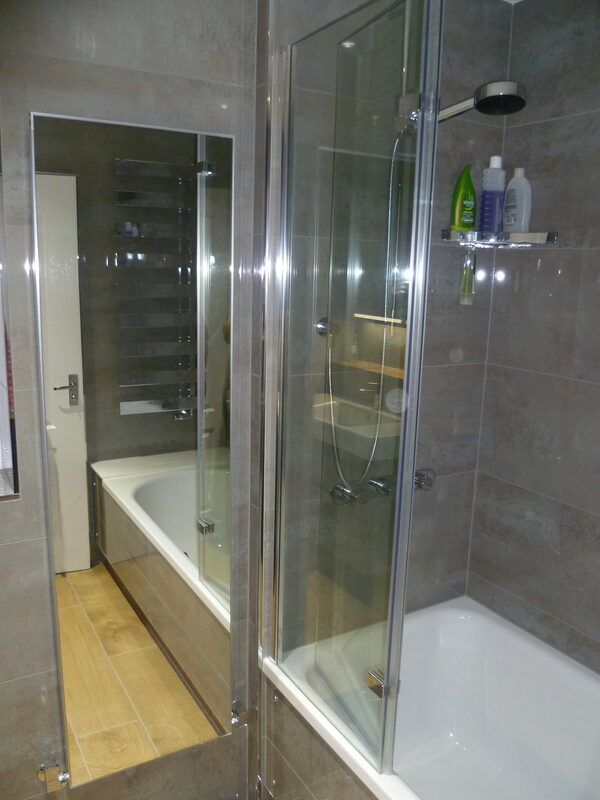 Family bathroom in Wendover. 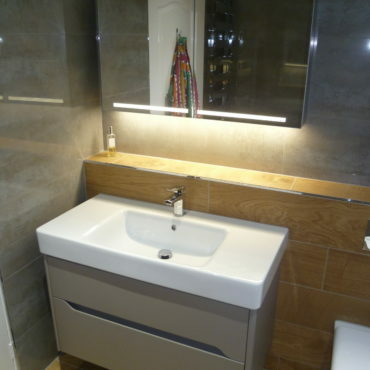 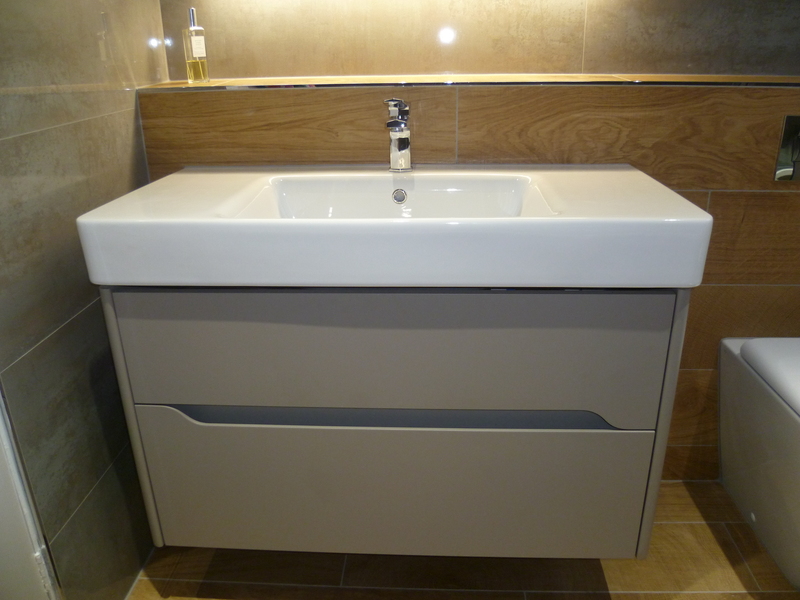 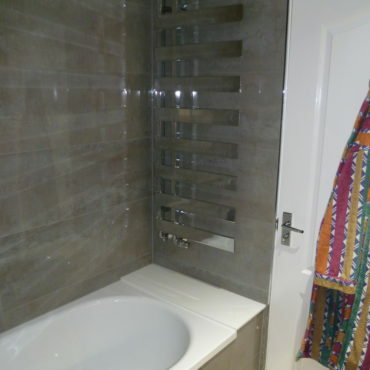 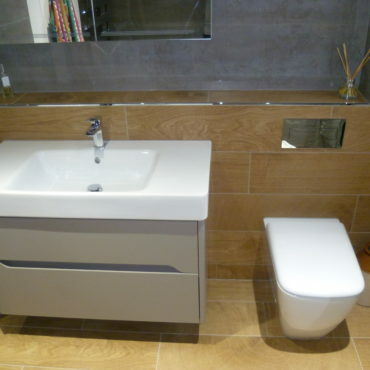 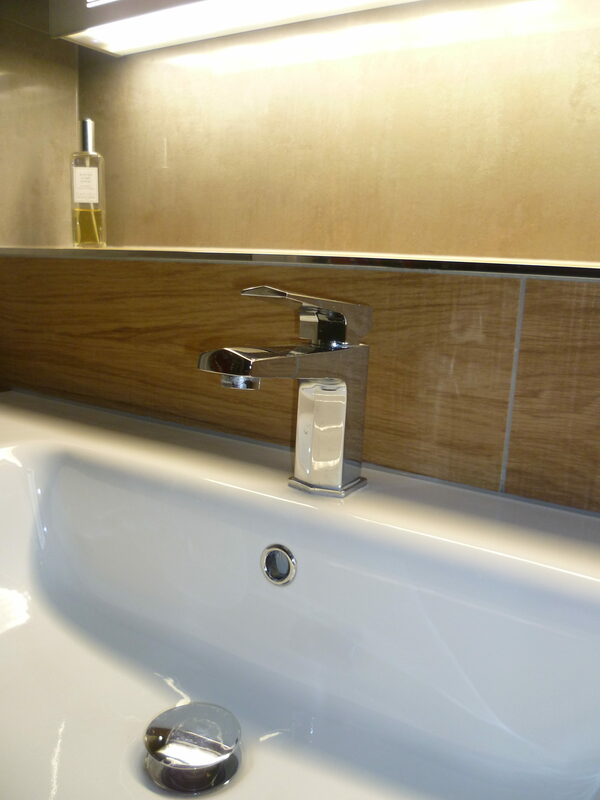 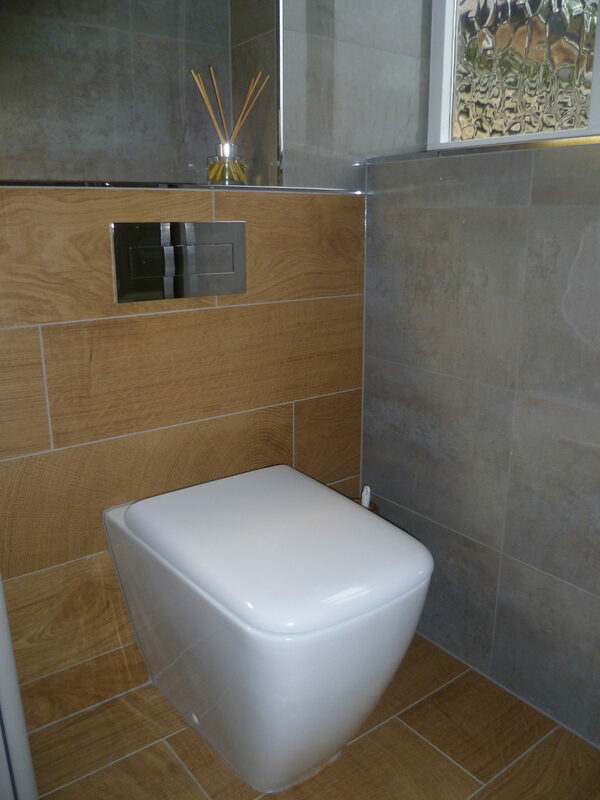 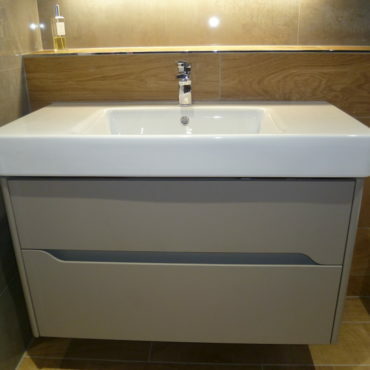 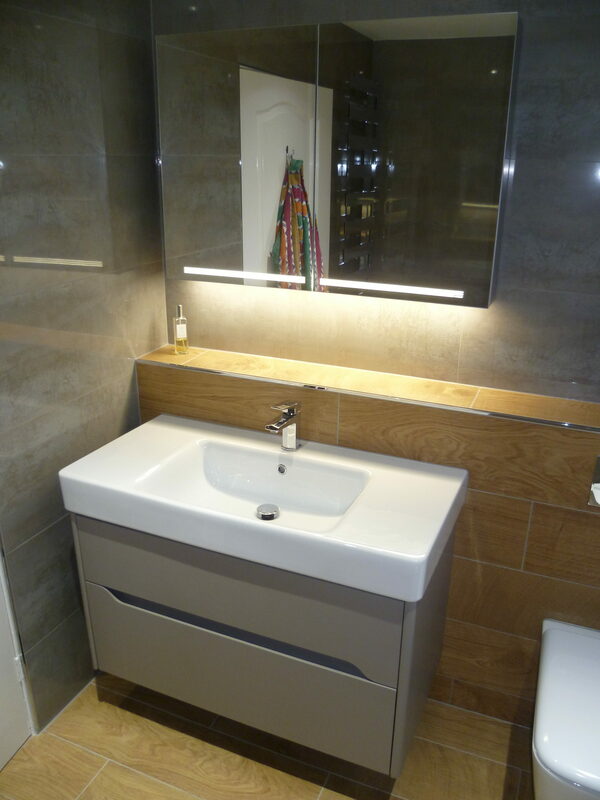 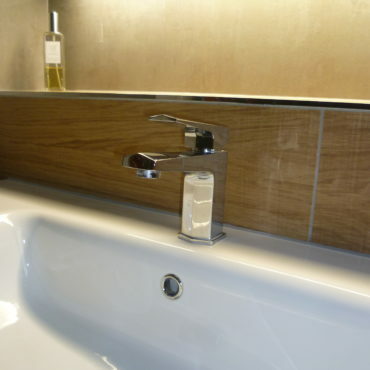 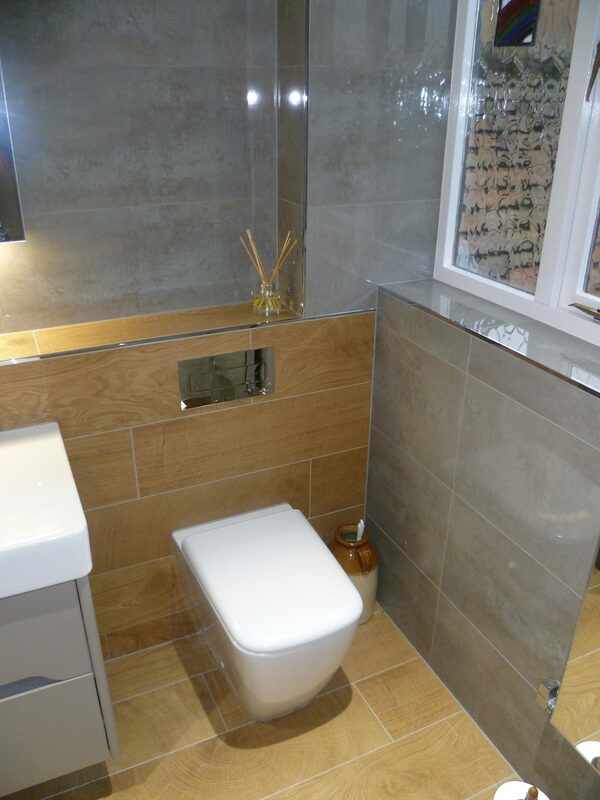 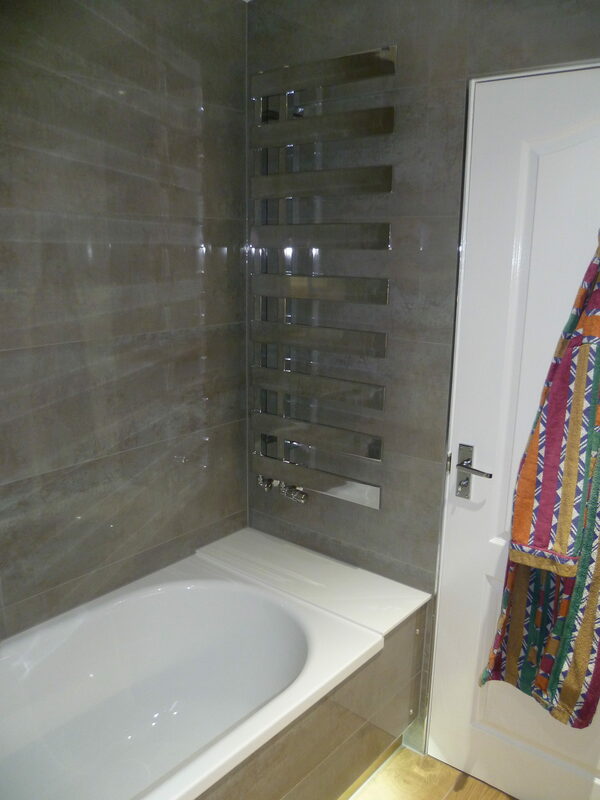 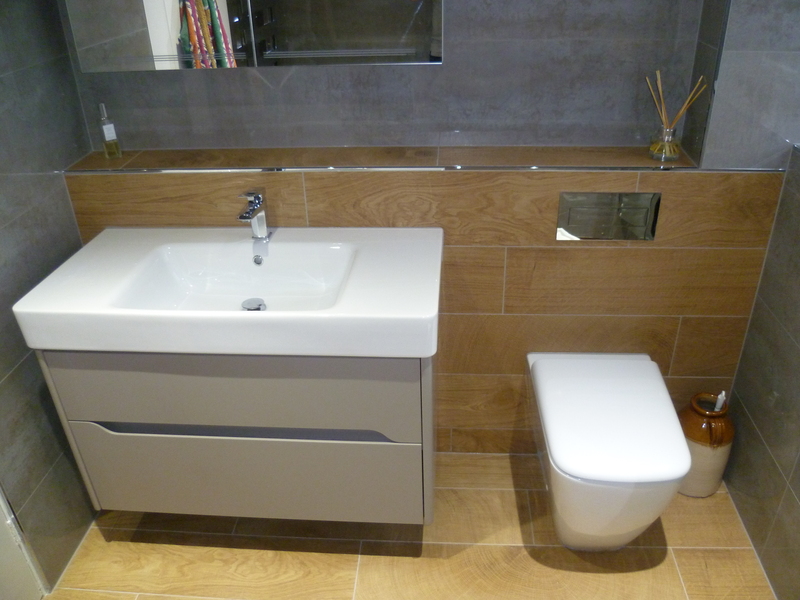 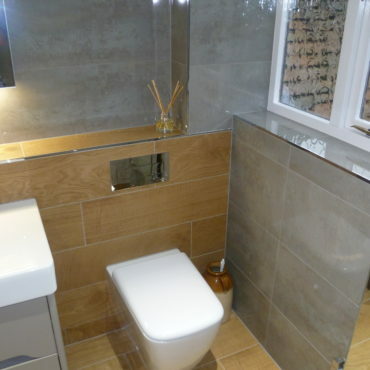 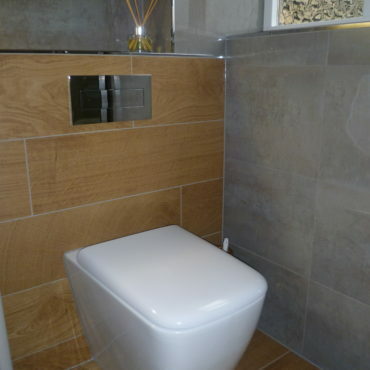 Wood effect tiled planking completed in brick fashion to front of basin / WC casing and floor which compliments the dark grey tile perfectly. 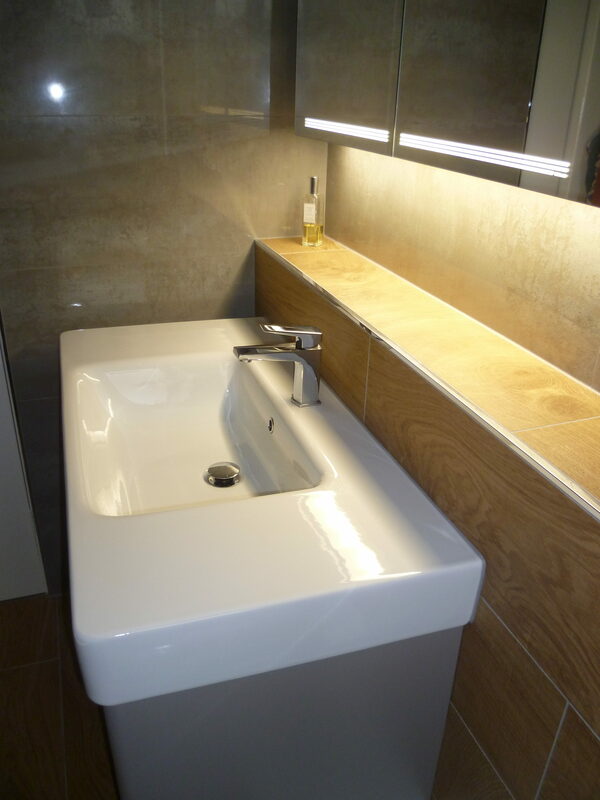 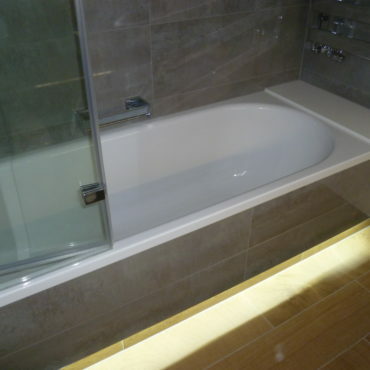 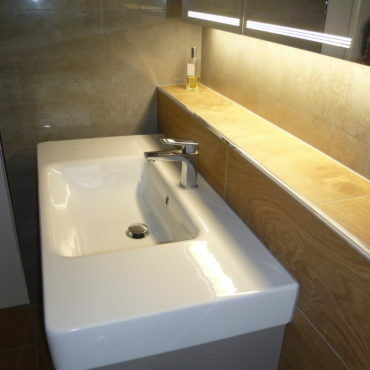 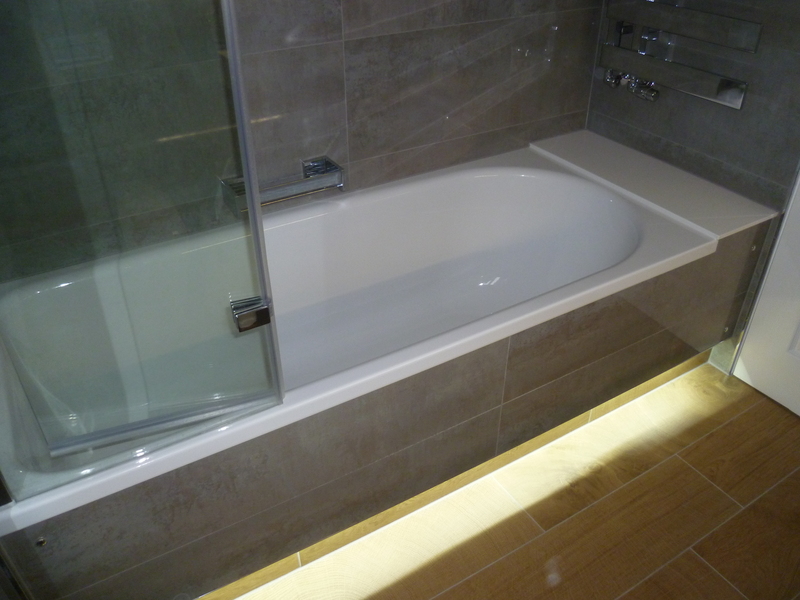 LED lighting underneath the bath panel gives you a relaxing light option.